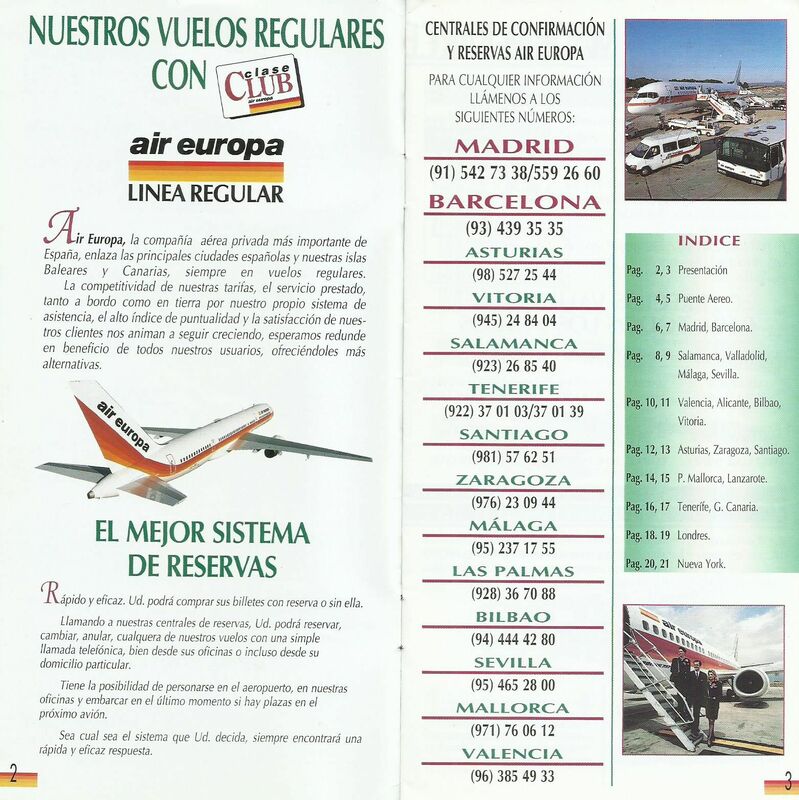 Uno de los coloristas folletos de Air Europa en los años 90, llenos de fotos de su flota y de su servicio. 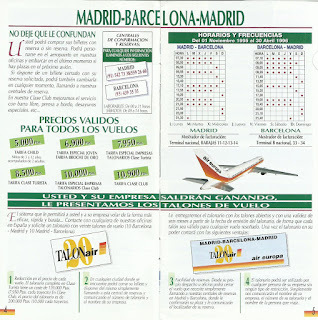 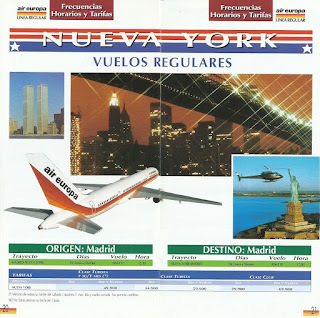 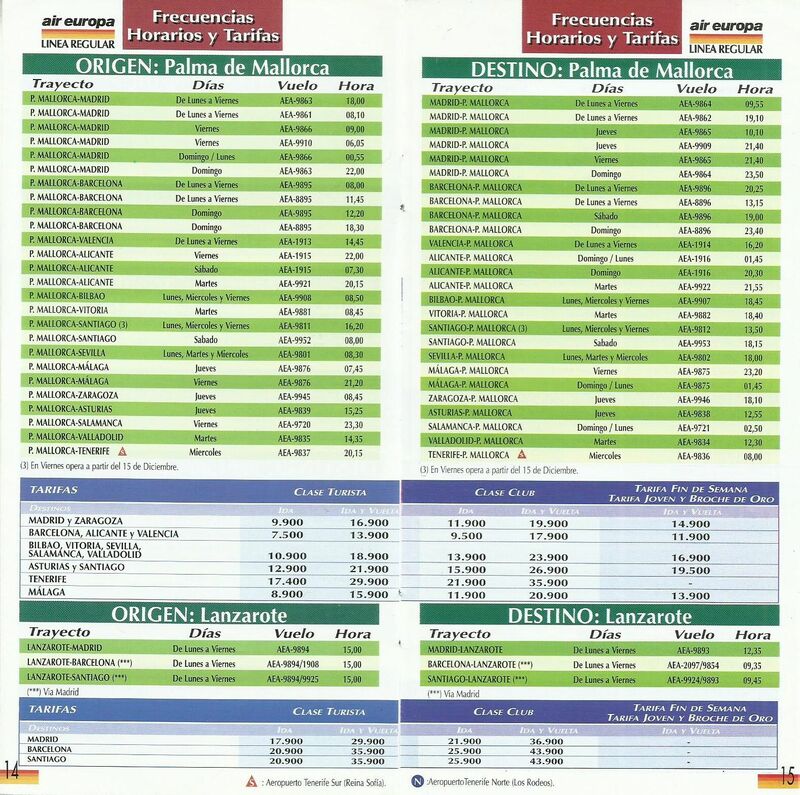 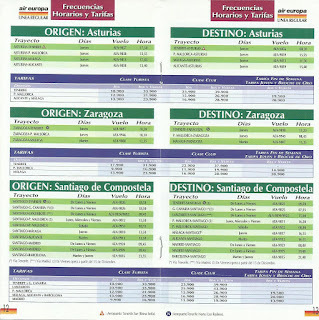 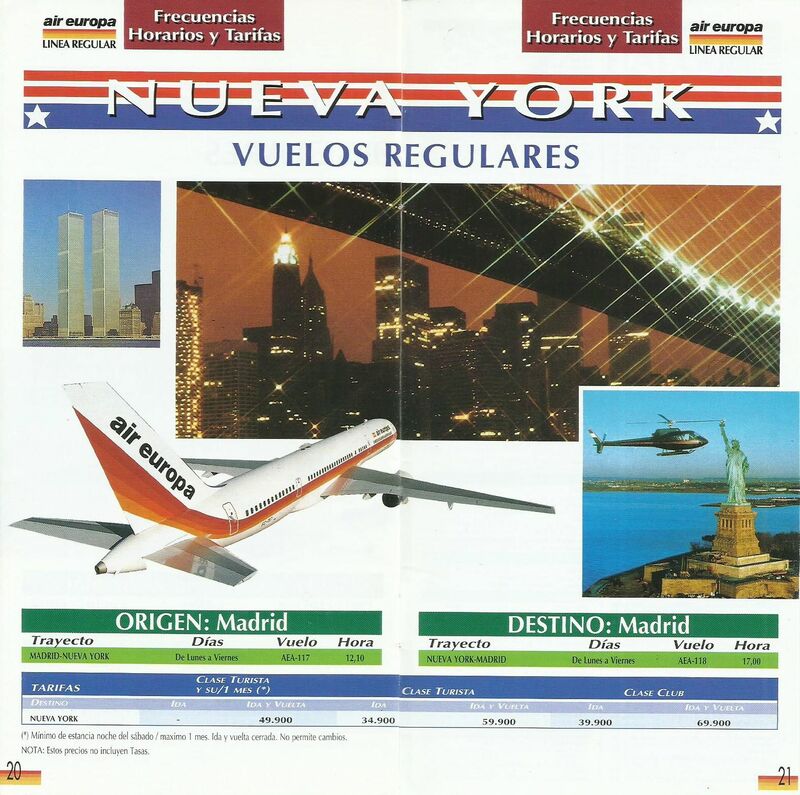 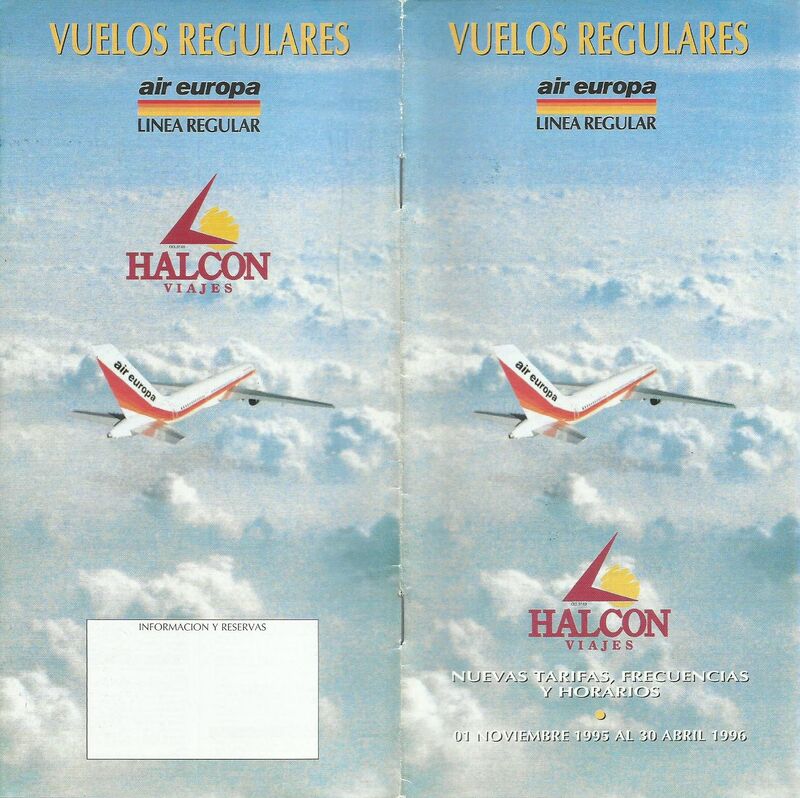 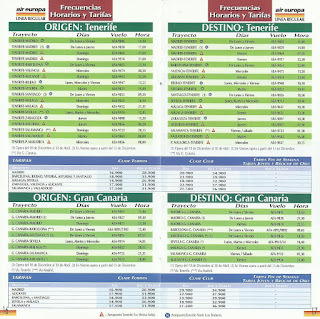 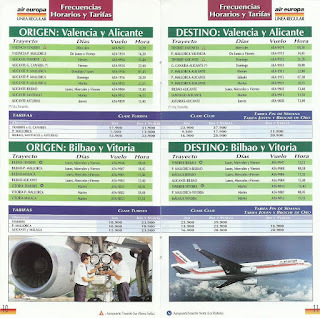 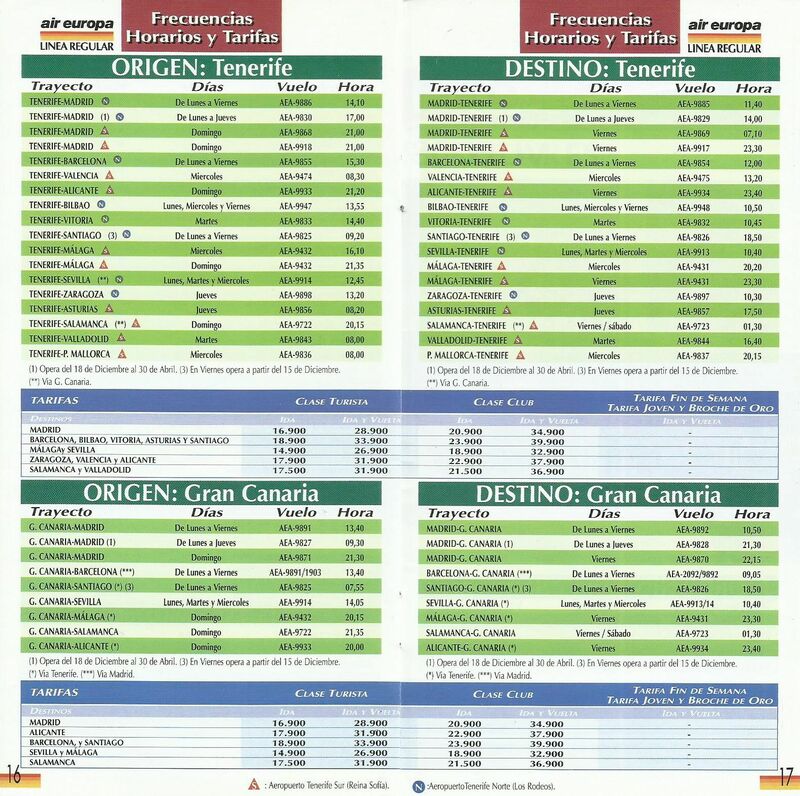 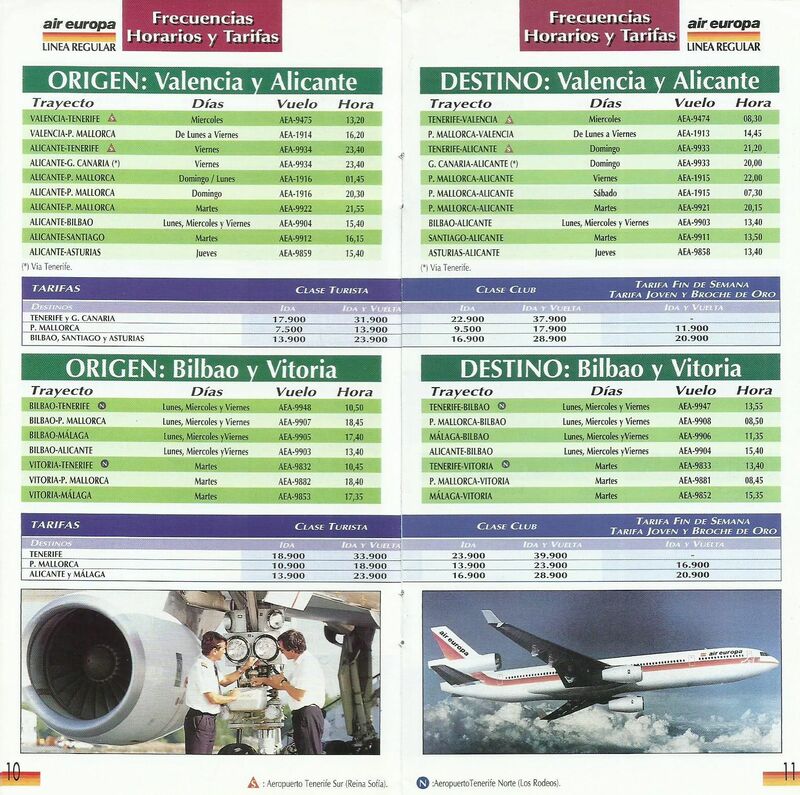 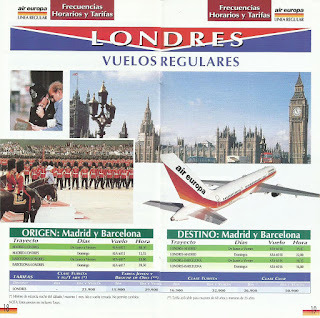 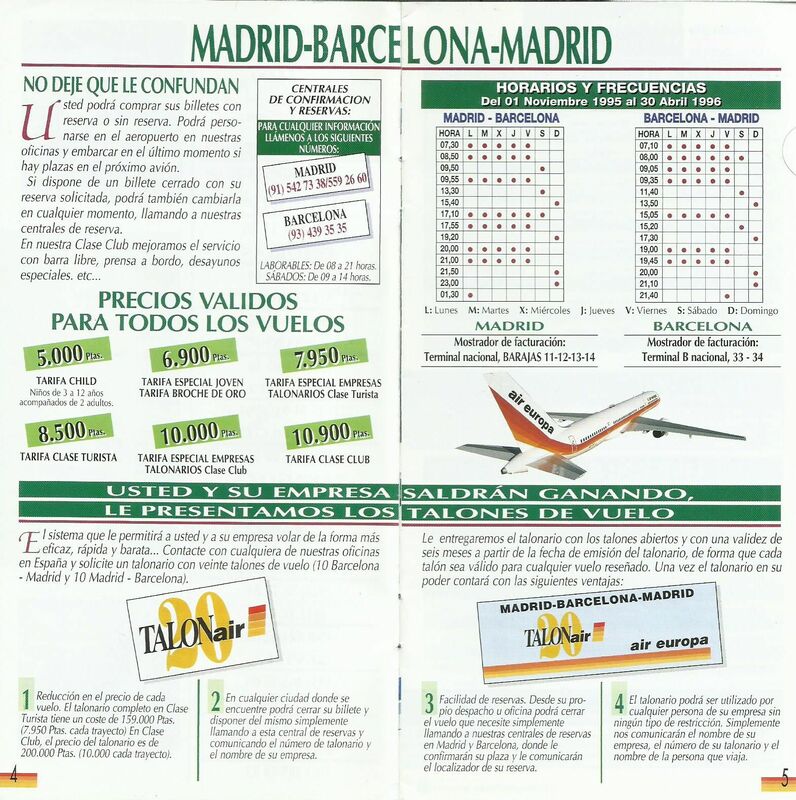 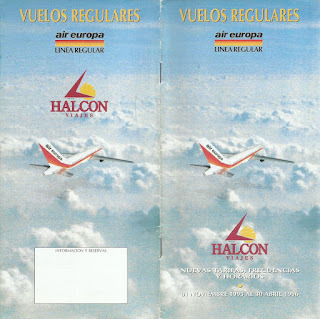 This was the kind of glossy colourful brochure produced by Air Europa in the mid 90's, full of full colour pics of their fleet and onboard product. 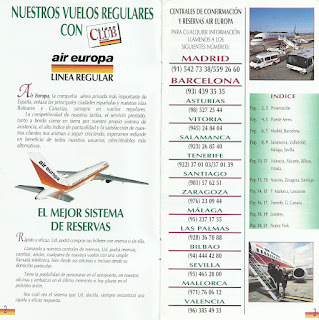 Take a look at the odd MD-11 in full Air Europa livery, it seems the airline was considering plans to buy this kind of aircraft.